The "Inffeld Campus" is the third, most modern and largest location in the genesis of the TU Graz. Characteristic is the location, which is explained by the required space - outside the city center, in the city expansion area of ​​the late 20th century. Due to the large amount of available local space, the area has been transformed into a rather uncontrolled campus with an abundance of unused open spaces, which are mainly used as parking areas. The campus follows the basic concept of a "pavilion system" with solitary buildings, which unfortunately lacks a noticeable center and networking with the "non-university" neighborhood. The development of the area is exclusively via the open spaces and the EC zones of the buildings. Due to the unused open space potential, lack of catering, lack of sports facilities and lack of meeting places for students, staff and residents of the area, the campus proves to be less communicative, lively and social. 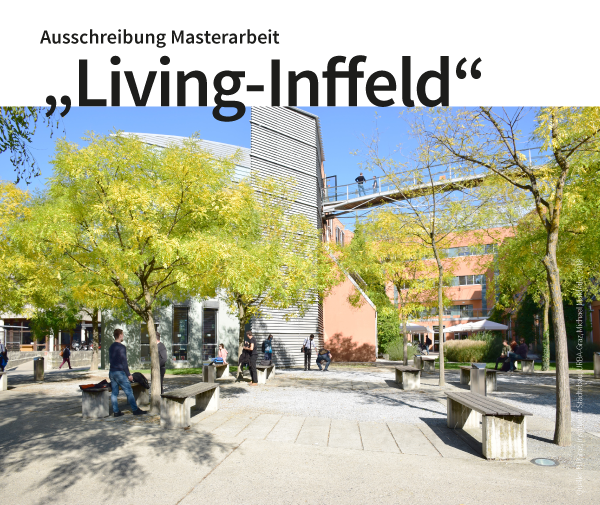 Therefore, the Sustainability Council of the Graz University of Technology, the HTU and the Institute for Urban Development decided to bring the campus to life, to break the boundaries to the neighborhood, to activate the EC zones of the buildings and the unused open spaces. This can only work by reprogramming these public spaces. The master's thesis has the task of developing a strategy for social activation and urban development based on the EC zone and the open spaces of the campus. In this context, a sustainable transition concept for the gradual revitalization and development of the campus is to be developed. The focus of the Master's thesis is the public everyday space, culinary art and people with disabilities. Many of us like to spend a moment or two in an outdoor dining area, whether it's for dining, meeting friends, or simply enjoying and watching. Guest gardens are a central and important part of our urban public life, they are meeting place, center of enjoyment and communication. They enliven and characterize our urban space, but design and access often prove to us as useless and as a daily challenge for many people. It usually takes a corresponding amount of space, furniture and help to reach the desired goal in the first place and to be able to use. In order for people with disabilities to be able to live a "life like others", which above all means "self-determination", an adequate environment is required. That you have to improve the conditions for you and your relatives so that you can participate in the normal life. The master's thesis has the task of developing a superordinate urban strategy and a flagship model that offers solutions for various everyday problem situations concerning the barrier-free use of guest gardens in inner cities. 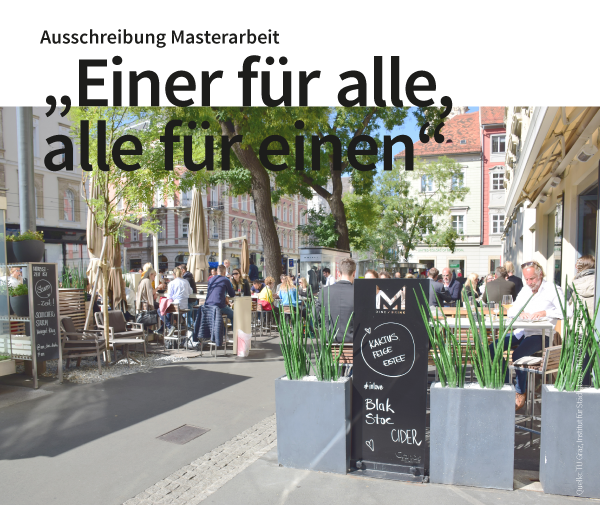 In this context, recommendations and solutions for the gradual improvement of a accesible public space in the city center will be developed on the basis of concrete case studies. As part of the Gründerzeit city expansion in the 19th century. the front garden became a symbol and an important part of bourgeois building and life in Graz. In addition to the function as an interface between the public street and private living space, he was also a visiting card of the homeowner. He was not only an important element of the façade, but he still characterizes entire streets and districts. This circumstance gives the inner-city front garden a special significance for the design of the public open space and at the same time for the microclimate of the city. 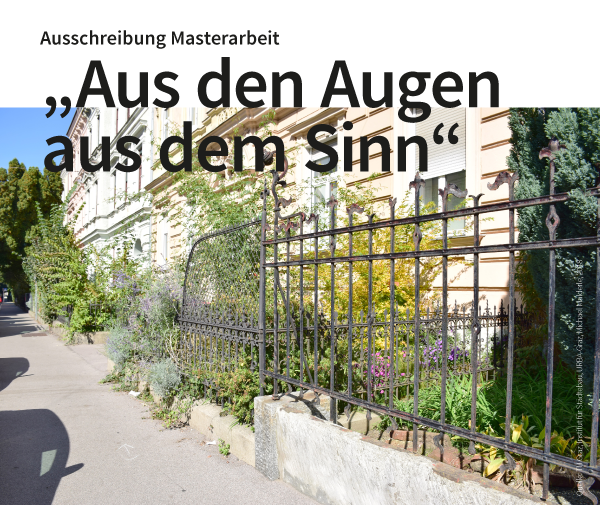 In the years 1998 to 2003, the Naturschutzbund Steiermark commissioned the city of Graz to detail and document the front gardens of the Graz Gründerzeit district (about 800). Since in recent decades more and more of these former front gardens have had to give way to sealing and parking spaces, as well as new buildings without front gardens, the Styrian Nature Conservation Association and the Institute of Urban Design of Graz University of Technology have decided to turn the theme of the Graz Gründerzeit front gardens back into urban planning move. The master's thesis has the task of developing a superordinate urban strategy for dealing with existing and future inner city suburbs as an urban design element that contributes to the public urban space. In this context, recommendations for the gradual development of the GRAZER GRÜNDERZEITLICHEN VORGARTEN VON TOMORROW will be developed on the basis of concrete case studies.